Ten years ago, I was about to make a huge career change. Coincidentally, GURPS was about to make a huge edition change. With that, I was invited by Sean Punch to write a book with him. I made the leap from playtester, article writer, and editorial freelancer to full-fledged GURPS author. GURPS made a big change, too: from a far-flung rules set showing some cracks to its leaner, faster Fourth Edition. GURPS Fourth Edition smoothed out a lot of intimidating rough edges from earlier editions. One of my current players once refused to play GURPS, but the new edition brought him into the fold. Fourth Edition just has a whole lot more fun shoved into it. The basic system has been sleeked down, so it's much easier to "roll and shout" without breaking anything later on. In my experience, GURPS has become a big system of interoperable rules that you can combine to make the game you want. It's simple at its core yet covers wildly different genres. 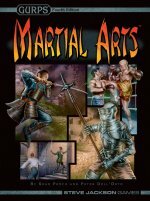 Case in point: GURPS Martial Arts has rules for both fine detail, like weapon length, and broad cinematic features, like shouting out the names of techniques before you execute them and having that do something! Riffing off of – and writing for – this interlocking system of options is easier, because it's all so inspiring. 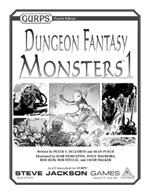 Series like GURPS Dungeon Fantasy and GURPS Action mean that there are places for horrible dungeon monsters, low-rent hirelings, and Bruce Lee-movie-inspired action heroes in the same RPG line. You can have historical gladiators, low-tech weaponry, and detailed grappling rules side-by-side with cinematic monster hunters and a plethora of magic systems. Ten years so far, and I'm looking forward to writing, reading, and playing for years to come.